Ammolite is a rare iridescent stone that is made up of the fossilized shell of ammonites, invertebrate organisms which became extinct 65 million years ago. The stone shines in hues of violet, blue, green, orange, red and yellow which makes each piece beautiful and unique. It is found only in the thin layers of the Bearpaw Formation located in the area along the St. Mary River in southwestern Alberta. It is a true Alberta gem and is sought after from people all over the world who love its’ shimmery iridescent colours. 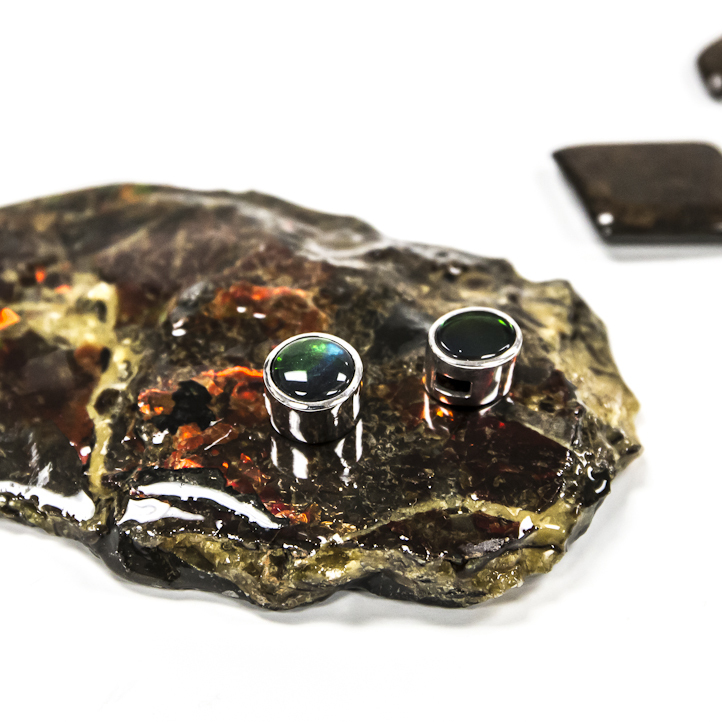 Ammolite’s popularity has grown over the past decade since renowned feng shui master Edward Kui Ming Le began extolling its virtues. It is said to promote the flow of “chi” throughout the body, enhance well being and reduce toxins. Feng shui practitioners call it the “seven-colour prosperity stone” due to its’ ability to exhibit up to seven colours. Each colour is believed to bring certain benefits such as wealth, wisdom, health, growth or energy. 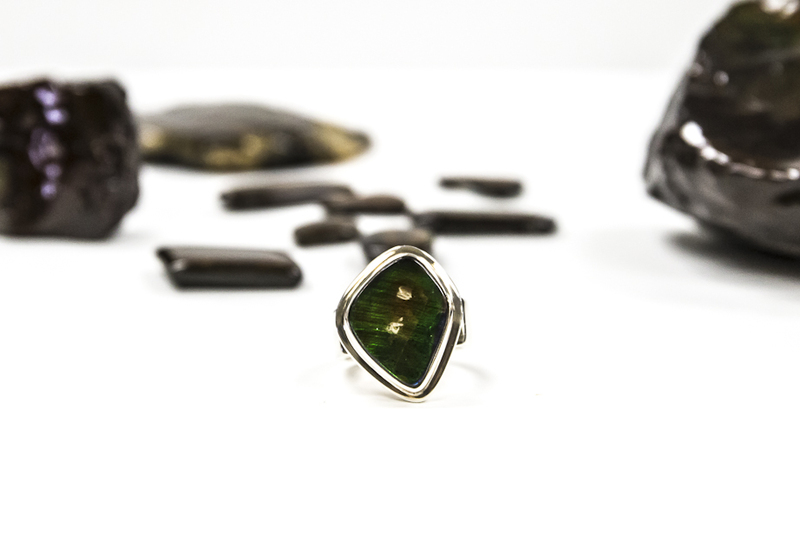 Known as a stone of perfection, Ammolite is believed to hold the energies of the universe. It helps us with personal awakening and attunes us to the cycles of creation and evolutionary shifts. A stone of positive energy, it helps us to understand shifts in consciousness as well as guides us through the pathway of spiritual and emotional evolution.